For patients with atrial fibrillation, the left atrial appendage (LAA) is often the site of thrombus formation due to low atrial ejection fraction that triggers strokes and other thromboembolic events. Recently introduced percutaneous LAA occlusion procedure is known to reduce LAA-induced strokes. Despite having the procedure, there are still 11% of the patients who continue to suffer from future strokes or transient ischemic attacks, not accounting for the procedural related complications. The high failure rate is largely due to the variabilities in LAA’s shape, size, and contractility which may result in ineffectiveness of this procedure. To correctly identify the candidates and evaluate the effectiveness of the procedure, we rely on patient-specific CT scans which provides the exact LA and LAA geometries and predictive hemodynamic analysis to assist in evaluating quantitative flow parameters pre- and post-LAA occlusion procedures. Hemodynamic parameters are critical to predict adverse hemodynamic flow patterns in LAA as well as the effectiveness of LAA closure in individual patient. 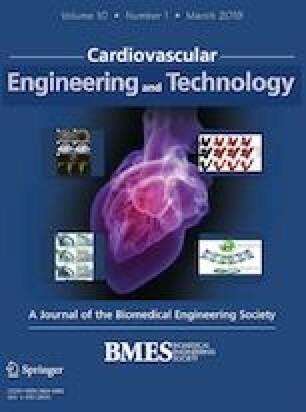 The aim of this paper is to establish an image-based patient-specific computational fluid dynamic (CFD) simulation framework specific to the prediction of treatment outcomes of LAA closure with atrial fibrillation. This framework utilizes automated LA/LAA image segmentation which yields significant reduction in image processing. One set of patient data with successful procedure outcome is used to illustrate the potential of the proposed framework. The proposed LAA occlusion simulation framework is composed of several components: (1) a novel image segmentation procedure, which is fully-automated to identify LA/LAA geometries from CT images, (2) a finite-element mesh generation procedure which transforms the surface geometry into a 3-D volume mesh and properly identified boundary planes, (3) performing CFD simulations with atrial fibrillation flow boundary conditions, and (4) analyzing flow characteristics (velocity, flow patterns, streamlines, vortices) within the LA for before and after LAA closure. Based on the LA/LAA segmentation of a 65 year old female patient with chronic atrial fibrillation, a CFD analysis was pursued to examine flow characteristics upon LAA closure. The results showed that the flow velocity magnitudes were significantly reduced by a maximum factor of 2.21, flow streamlines were greatly stabilized, and mitral outflow appeared to be more organized. Vortices were dramatically reduced in size, number, intensity, as well as duration. During diastole, the peak vortex diameter was reduced from 2.8 to 1.5 cm, while the vortex duration was reduced from 0.210 to 0.135 s. These flow characteristics all indicated a reduced risk in future thrombus formation and strokes based on the established relationship between flow and thrombus formation. For the patient case under study, the effectiveness of the procedure is predicted and found to be consistent with the actual procedural outcome. This framework successfully predicted patient-specific outcome of a LAA closure procedure for one patient with atrial fibrillation. It can be further developed into a useful tool for pre-procedural planning and candidate selection. More patient data are necessary for further validation studies. The online version of this article ( https://doi.org/10.1007/s13239-019-00412-7) contains supplementary material, which is available to authorized users. Dongjie Jia and Byunghwan Jeon contributed equally in this work. Author LTZ would like to acknowledge the support from NSFC Grants 11650410650 and 11550110185. Authors BJ, HP and HC are supported by Leading Foreign Research Institute Recruitment Program through the National Research Foundation of Korea (NRF) funded by the Ministry of Science, ICT & Future Planning (MSIP) (2012027176). No human or animal studies were carried out by the authors for this article. The institutional review board approved this study and waived the requirement for informed consent due to its retrospective design.